Home Entertainment How Tall is TWICE Tzuyu’s Current Height? In every k-idol group, everyone must be curious about idol member height. And some of the idol group are having their youngest member as the tallest member. How about TWICE? 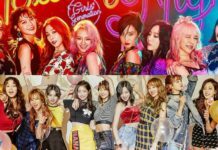 Is Chou Tzuyu, the youngest member of TWICE is the tallest member in the group? 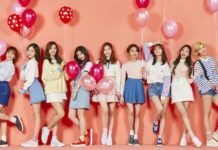 How tall is TWICE Tzuyu’s current height? If you search Tzuyu height through google and almost all of the portal that posting TWICE profile, her height would be 5’ 17” or 170 cm. 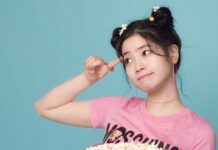 But many fans speculate that her real height is around 169 cm. Recently, many fans noticed Tzuyu has bending her knees for TWICE “KNOCK KNOCK” performance ending pose to match Mina’s height for a symmetrical formation. With that performance (please watch one of their performance below), ONCE believe that her height now is 172 cm. While several of TWICE fans, ONCE, still speculating the real height of the member, it isn’t really a bother actually. 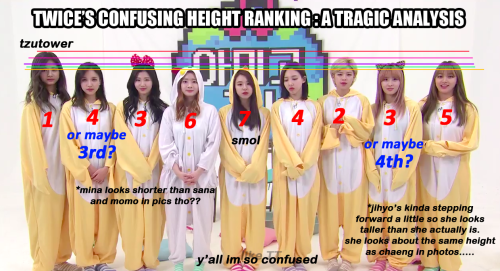 Because whatever her height is, Tzuyu will still the highest member on TWICE. Here are some evidence of it. Recently, many fans noticed Tzuyu has bending her knees for TWICE “KNOCK KNOCK” performance ending pose to match Mina’s height since they were 7 cm height apart. Mina was positioned on the opposite end of Tzuyu and Tzuyu need to adjusting her height to Mina while Mina is always standing straight.